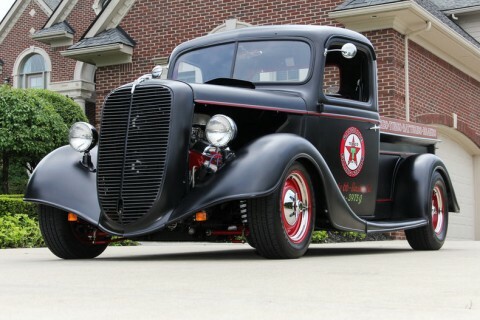 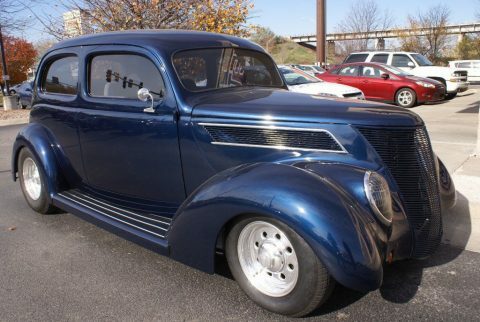 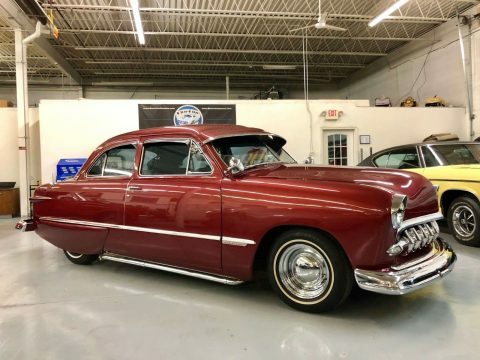 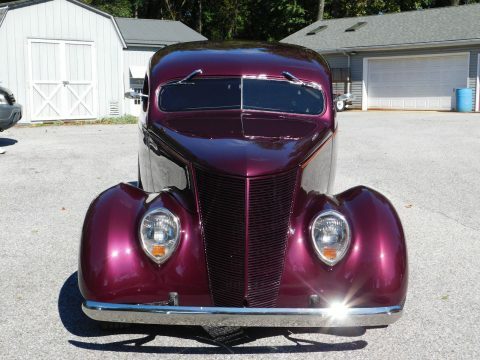 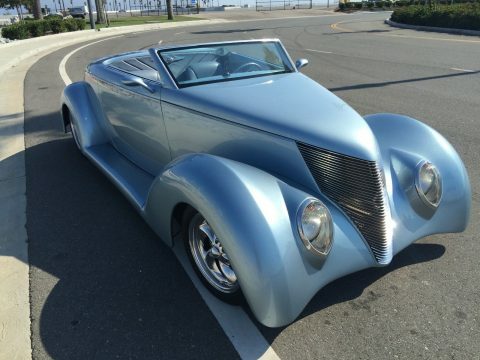 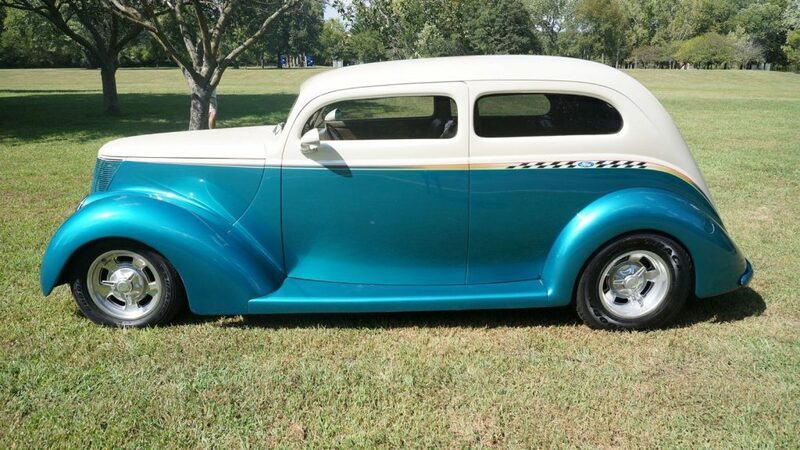 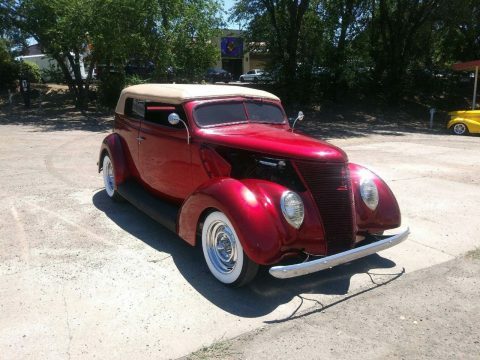 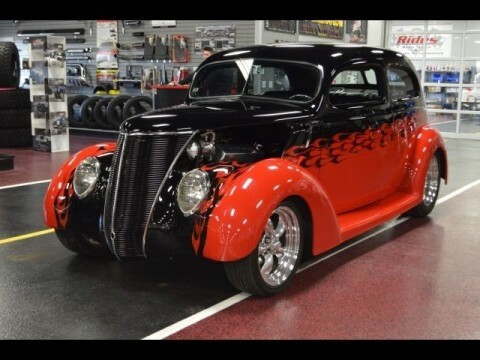 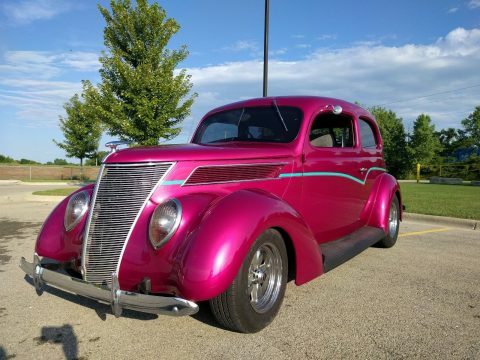 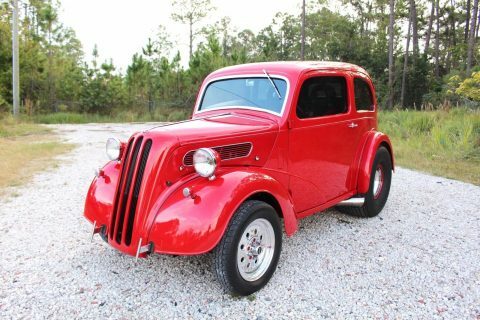 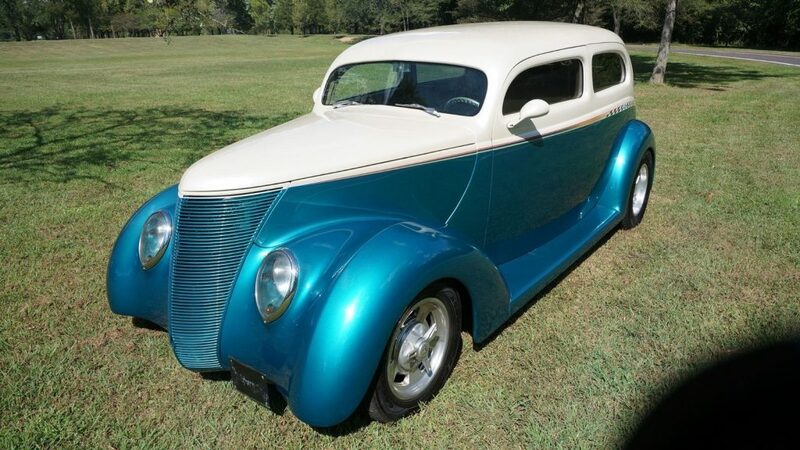 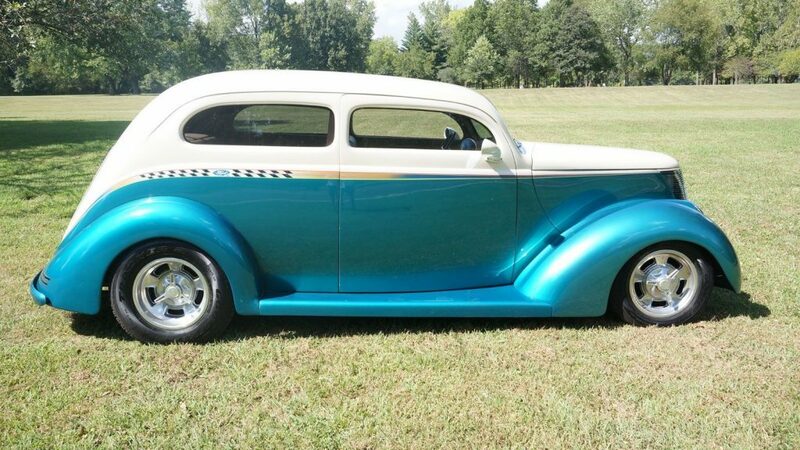 RESTOMOD 1937 FORD 2 DOOR SEDAN. 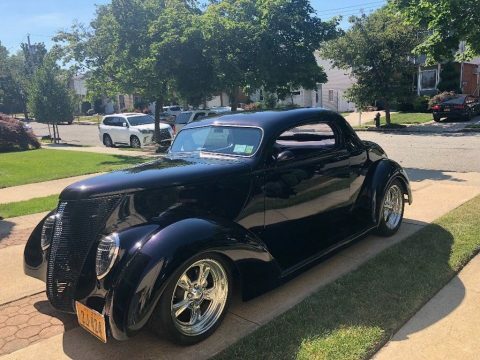 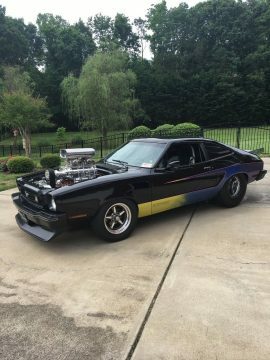 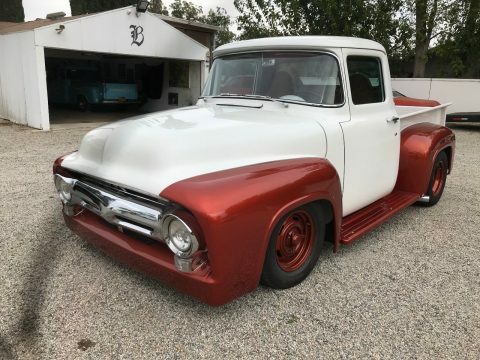 THIS CUSTOM FEATURES A CUSTOM DOWNS BODY WITH A 3″ CHOP AND SITS ON A NAGLES ROD SHOP CHASSIS WITH A HEIDTS SUPER RIDE POWER RACK-N-PINION FRONT END AND 4 LINK REAREND. 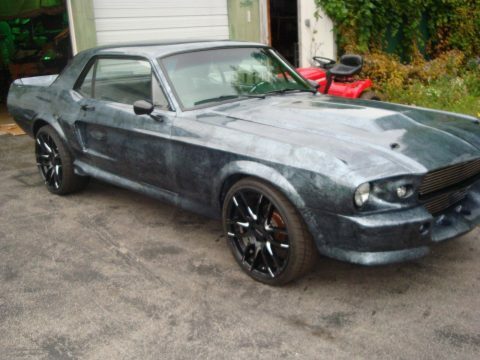 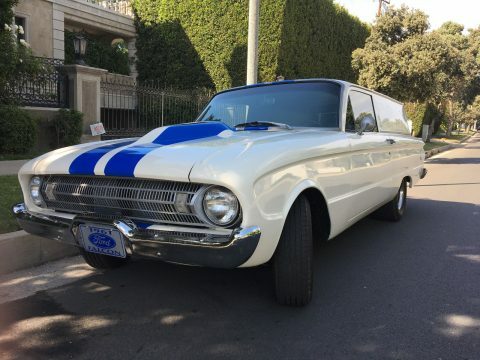 POWERED BY A FUEL INJECTED 351 WITH GT40 LIGHTNING HEADS AND AN AUTOMATIC TRANSMISSION AND FORD 9″ REARED WITH CURRIE AXLES AND A 3.55 GEAR. 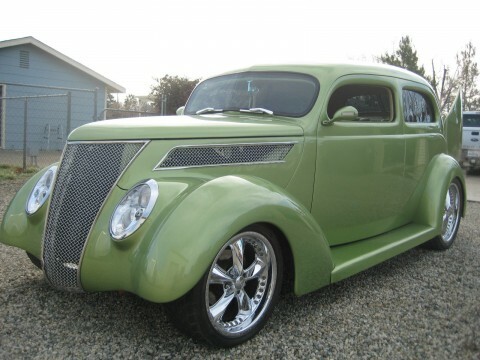 ADDITIONAL FEATURES INCLUDE: POWER DISC BRAKES, LOKAR SHIFTER, PARKING BRAKE, AND PEDAL ASSEMBLY. 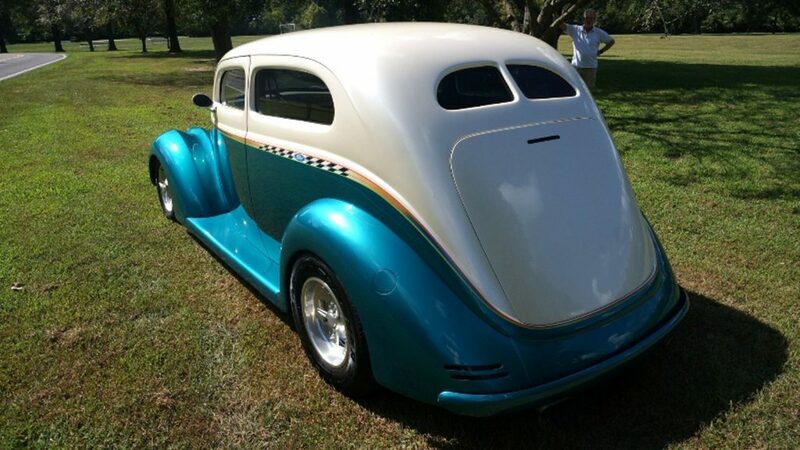 ALL THE AUTOMETER GAUGES FUNCTION PROPERLY. 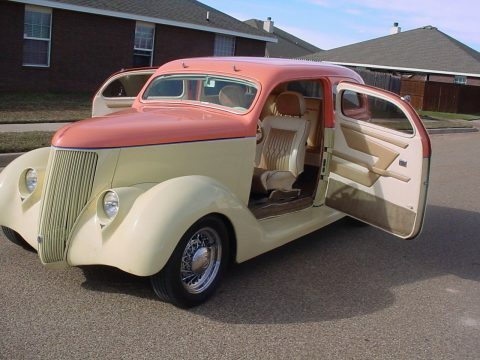 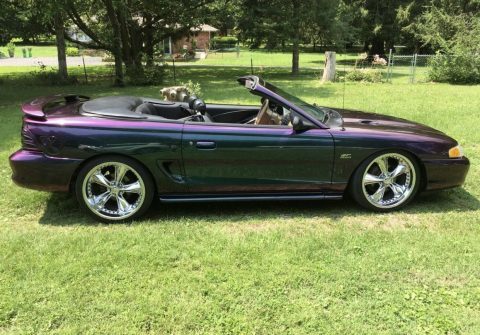 THE INTERIOR IS EQUIPPED WITH COLD AIR CONDITIONING, POWER WINDOWS, GLIDE SEAT FRAME, CUSTOM ALPINE STEREO, WIRE WORKS ELECTRICAL SYSTEM, SHOULDER HARNESS SEAT BELTS, HALLIBRAND 15″ WHEELS WITH NEWER TIRES, CUSTOM OPENING HOOD AND ELECTRIC POWERED TRUNK, HIDDEN POWER RADIO ANTENNA, HIDDEN TRAILER HITCH, GRIFFIN RADIATOR AND MUCH, MUCH MORE.